What to do in Valencia in Spain, the city of sun? Hello my little feathers ! I hope you had a great summer. Maybe some of you don’t know it yet but I am half spanish (on my father’s side). So, every year since I’m super small, I go at least once to Spain (most times during summer) to visit my family and enjoy this amazing country ! A country with very open-minded people, with a very hot climate and a very cheap life ! And I really want to make you discover my favorite city in Spain : Valencia. Where I’ve just spent my 27th summer. A super destination, very often forgotten for Barcelona, which is weird because it’s more typical, less touristic and cheaper. I recommend it to you 100% and these are my best tips on what to do in Valencia. 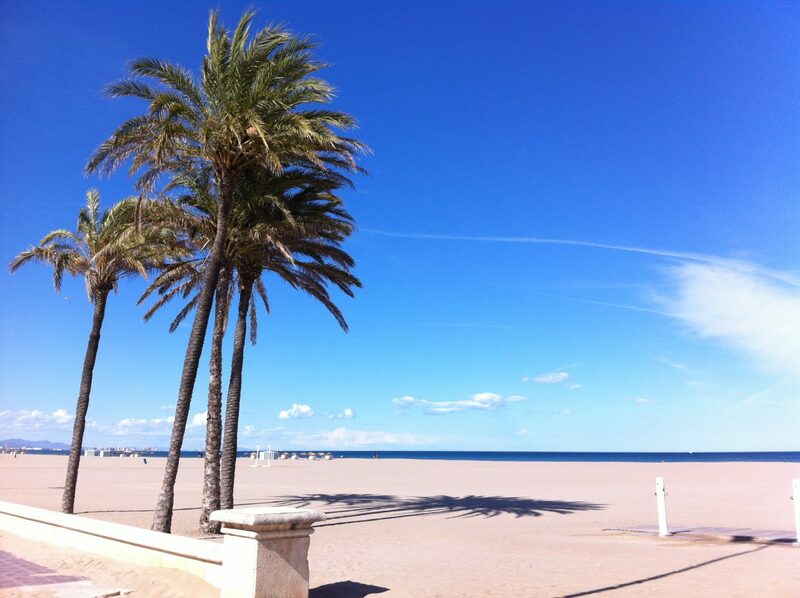 What to do in Valencia, the city with more than 300 days of sunshine per year ? 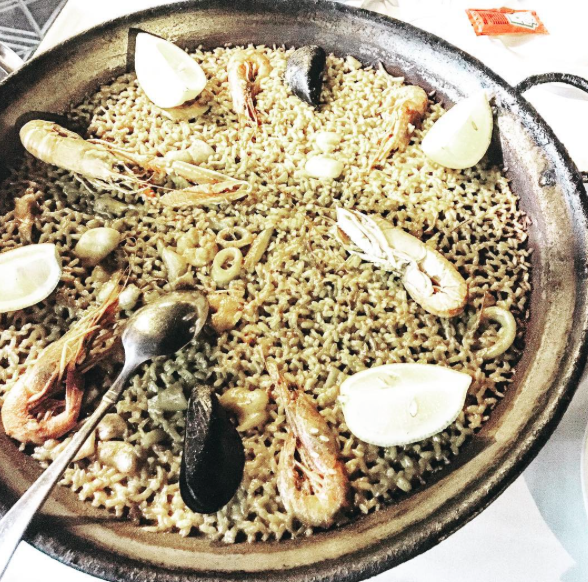 What to do in Valencia #1 : Eat ! The most typical Spanish dish is definitely Paella ! This delicious yellow rice with either seafood, meat, or vegetables. So delicious. I recommend you to go to the beach called LAS ARENAS to enjoy an amazing paella while watching the waves. Yes, please 🙂 A very nice place, not expensive, which will blow your mind. One restaurant I particularly advise : La Murciana. There is also an evening beach market everyday in the summer. You can find so many nice stuff. A restaurant in the heart of the city of Valencia with typical dishes, and a menu entry-dish-dessert just DELICIOUS for 15 euros! Really, a must do in Valencia. Every time I go to the city of Valencia, I eat there at least 2 or 3 times because it’s so good, and in addition to that, the menu changes every day! Valencia city center is definitely charming. Go down at Colón metro station and take a walk around. You’ll see beautiful old buildings and the old arenas. Also go to Plaza España (not far from Colón walking, or at Pl. españa metro station). This plaza is surrounded by the cutest little restaurants, bar, terrasses in adorable little streets. It’s just my favorite place in Valencia city to eat tapas. I love it ! For example, for a delicious Coktail, a tapas dinner and including drinks : you eat well, you spend a nice moment in a nice area for so cheap (about 15€). A place worth to be visited, such an architectural miracle ! Futurist white buildings, a piece of art built by the Valencian architect Calatrava. Something unique. You can go there either only to admire the site, or to also go inside the different buildings. The Oceanografic : One of the most beautiful aquariums in Europe. It’s worth it ! The Hemisferic : a 3D cinema in a eye-shaped building. 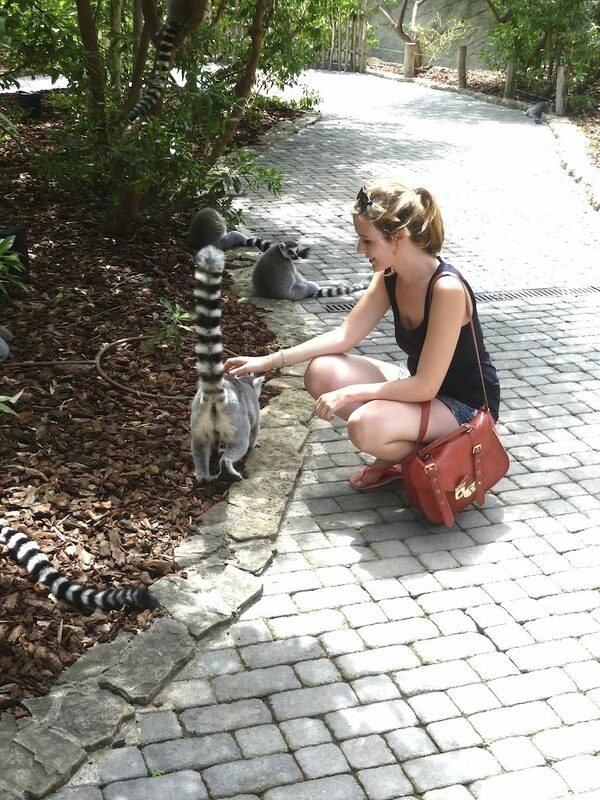 A cool experience ! The Museum of Arts and the Museum of Sciences : Haven’t tried them yet, but I would love to ! Next time ! The Umbracle : a restaurant / club ! One of the coolest I’ve tried in my life. A lot of rooms, a big terrasse and some cools beds and sunloungers to have a cocktail on. 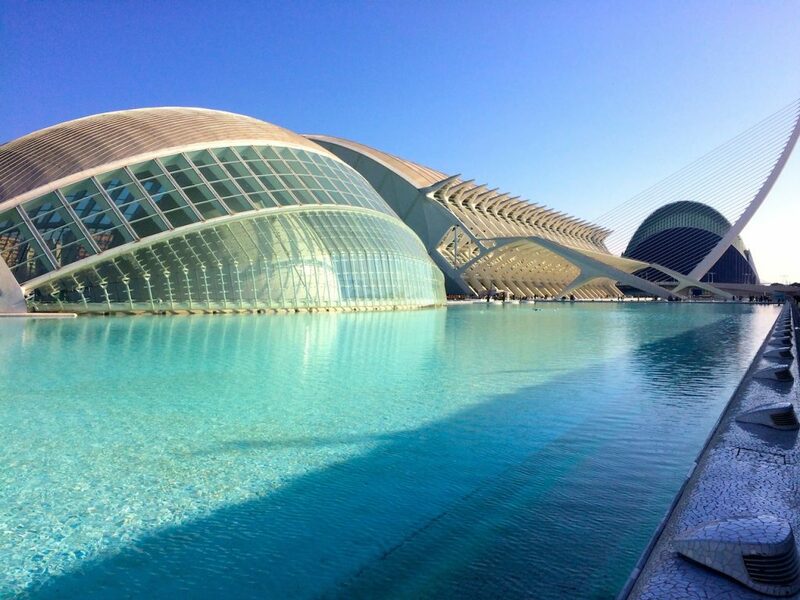 Here is my complete blog post about this place : 5 reasons why you must visit the City of Sciences of Valencia. A great, innovative zoo in the middle of Valencia city. 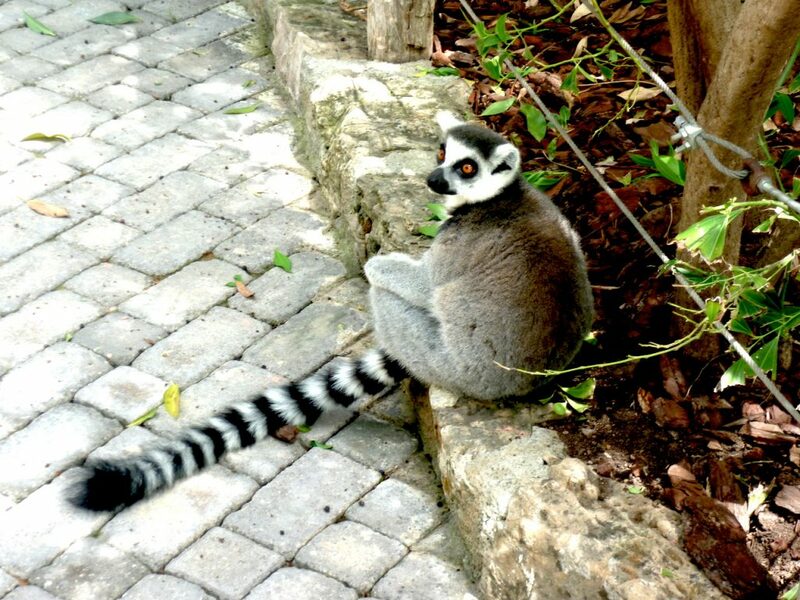 What is so cool is that there are almost no cages so the animals are just walking around in the middle of the visitors. I liked it a lot ! Life is really cheap in Spain, and the food is YUMMY ! So, it’s time to enjoy and to go to the restaurant every day ! Serrano or Iberico ham : OMG ! A little extra time in Valencia? Visit surrounding villages. 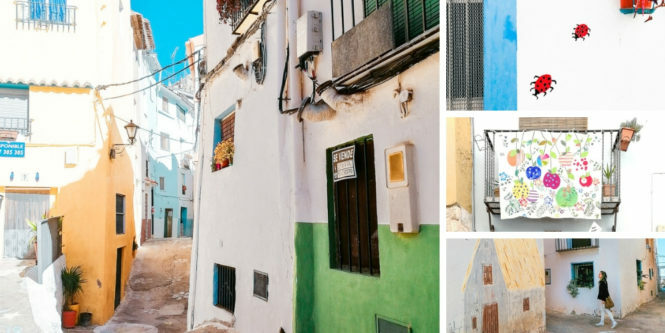 There are so many beautiful villages around Valencia! I wrote a complete article on this subject. Here we go my dears ! I hope you liked this article and that you got some ideas on what to do in Valencia if you are planning to go. Don’t hesitate to leave me your reaction in a comment, it’s such a pleasure to read you ! If you’re looking for well located rental flats, here is the site of someone you can trust and with very nice apartments in the heart of Valencia. Have you already been to Valencia ? Otherwise, are you maybe planning to go ? Definitely! Just the best! 😀 Hehe. Have a good evening my dear!